Corporate parties are a great way to encourage bonding and sharing of ideas among a team of employees. They not only get to know each other better but also develop stronger grounds to work on in the office. No wonder Gurgaon is booming with venues spread all over the city which cater and host such corporate parties. From big to small, every corporate company throws at least one party every year to promote bonding among its team and to also provide them with an evening of unadulterated fun, refreshment, and entertainment. With exciting party packages and offers, Agent Jack’s Bidding Bar at Sector 29 Gurgaon is one the most favored for corporate party place. A super-awesome place in the hearts of Sector-29’s pub market and a place to spent a great evening with family and friends. 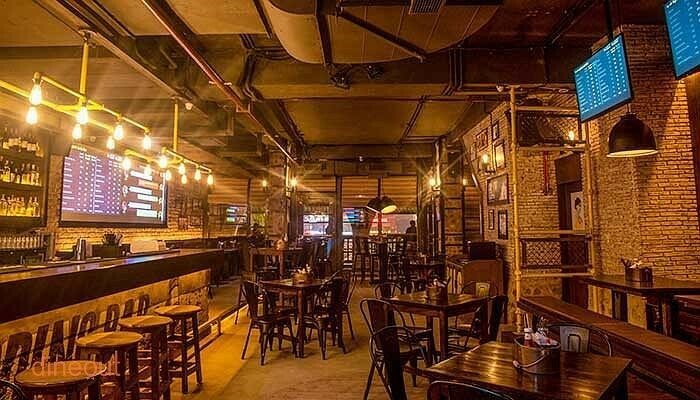 Agent Jack’s Bidding Bar is first of its kinds place in Delhi NCR. The place stays open until midnight and offers North Indian, Chinese, and Italian cuisines and is a delight for the foodies. The outdoor seating adds to its amazing vibe and offers the best of both worlds. Besides that, WiFi, live sports screening, live music, and live entertainment are only a few of the great services it offers. You can groove to the live music on the spacious dance floor and have a memorable evening of unadulterated fun! Alcohol is always available for your perusal as the place promises not a single dull moment. The electrifying experience makes the place ideal for weekends and weekdays. The prompt and supportive staffs make your experience wonderful. With a massive bar placed at the center and a brewery placed at one corner, Agent Jack’s ambiance is neat, with a yellow glow and loud but not troubling decibel of music. The staff is welcoming with beer testers and the menu is typical with a little changes here and there. Agent’s JBB is beautifully done up with a breath taking ambience, classic design and great interiors. The place is spacious, enough to accommodate a huge crowd. The bar is centrally located and showcases choicest of beverages. Seating arrangements are good with variety of chair placements – low rise, high rise bar stools, tables of 2s, 4s and 8s to be able to offer a leisure experience to all groups of guests visiting AJBB. DJ’s music is lovely and choicest of English numbers of the early 90’s were playing all through which was fantastic music. The Agents have good corporate offers to attract the Millennium City’s office going crowd to party here. 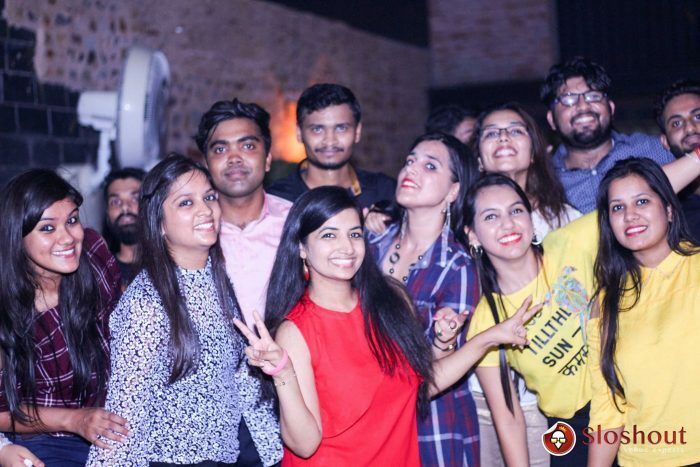 It was only natural for a premier company like Cognizant to host its corporate party at Agent Jack’s Bar given the many services the place offers. 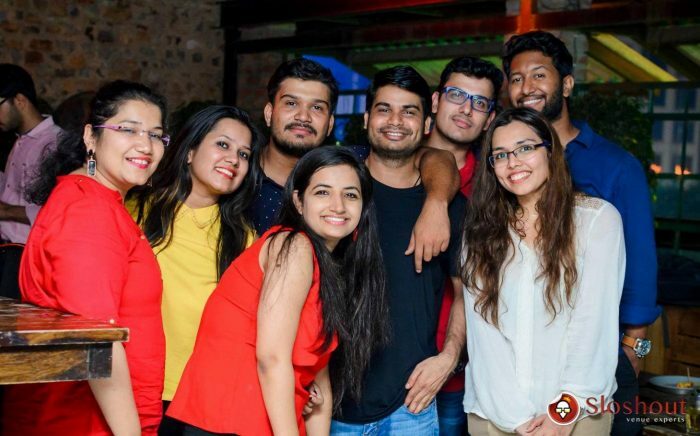 For a company as prestigious as Cognizant, their parties have to be absolutely perfect and without any difficulties, so that the team members can have an amazing time, and what other place but Agent Jack’s to be apt for that? Monika from Cognizant prompts that “the entire team had an unbelievably amazing time at Agent Jack’s!” There was something for everyone and everyone felt relaxed and at ease, courtesy the ambiance of the venue. It’s amazing decor makes for great pictures and the Cognizant team took full advantage of that. 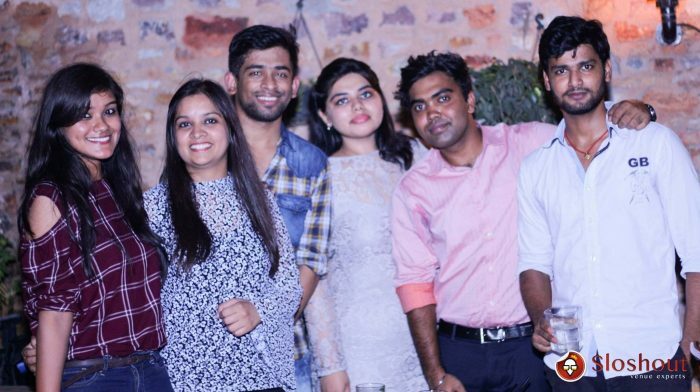 This entry was posted in Corporate Party and tagged best party venues in gurgaon, cognizant corporate party, corporate party venues in Delhi., corporate party venues in gurgaon, Party Places in Gurgaon. Bookmark the permalink.